A pinch of salt for your coffee, Sir? A small sprinkle of salt will suppress bitterness – and in some cases it can benefit the overall coffee flavor. I’ve tried it with an espresso and somehow it works, but it’s difficult to describe the flavor. I prefer my coffee black, and politely decline when offered milk and sugar. However, if offered salt I would probably smile and say “Yes, please!” Salt???! It turns out that adding salt to coffee is not as weird as it may sound at first. There is a tradition for adding a pinch of salt to coffee in Northern Scandinavia, Sibir, Turkey and Hungary. And when available, such as in coastal areas where fresh water from rivers mixes with the salt sea, one would simply use brackish water when preparing coffee. This water typically has a salt content of 0.5-3%, which is lower than the average 3.5% in seawater. This results in a more intense taste and more foaming. And if living far from the sea, the Swedish food blogger Lisa Fí¶rare Winbladh let me know that in Northern Sweden one would deliberately add salt if using melt water from glaciers for making coffee. But tradition aside, is there a scientific explanation of this widespread tradition of preparing coffee with addition of salt? The first thing that comes to mind is that salt reduces bitterness. And to be more precise it is the sodium ion (Na+) that interferes with the transduction mechanism of bitter taste. But interestingly the mechanism behind this is not fully understood! 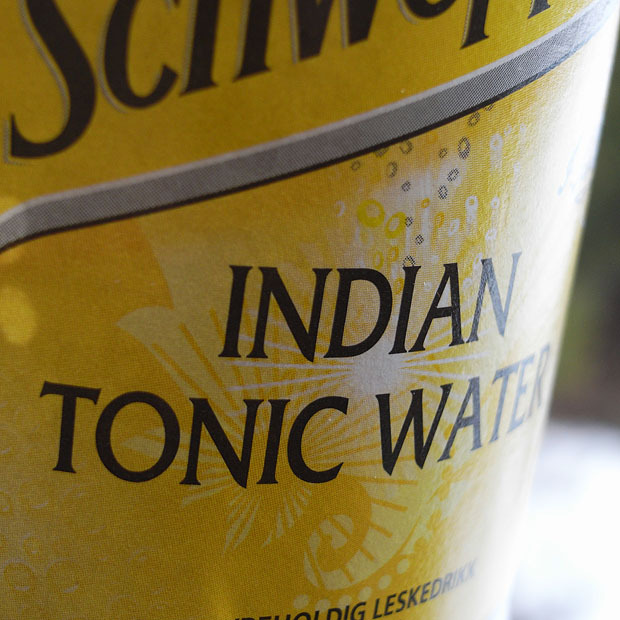 One of my very first blog posts was about tonic water and how one by adding salt can suppress the bitter taste and make tonic water more or less sweet. It’s a fascinating experiment that you should try at home. Expect to use about 1,5-2 g salt for a glass with roughly 1,5 dL (150 g) of tonic water. It’s a good idea to start with a little salt and taste it as you go. Try adding a little salt to tonic water – the effect is quite surprising: The characteristic bitterness from the added quinine disappears! But the salt need not be reserved for over-extracted coffee. I’ve tried using salt both in a drip coffee maker and in the filter basked when pulling an espresso. The tests were very un-scientific, but the tiny amount of salt does dampen bitterness and change the coffee taste (but the coffee does not have a salty taste). Since I lack cupping experience, I certainly lack the language to describe how salt influences the taste, so I leave it up to you to try it out! And maybe some baristas with cupping experience can fill me out on this and do some tests? With cured ham, apart from the salt-coffee interaction, one also has the combination of meat and coffee. From previous flavor pairing rounds TGRWT #1 and #5 (chocolate/coffee and coffee/meat respectively) we have seen that coffee and meat in some ways approach each other and are actually a good combination. A secret tip BTW is to add a little coffee to your beef stocks for extra depth and richness – this works because coffee shares many impact flavors with browned meats due to the Maillard reaction. 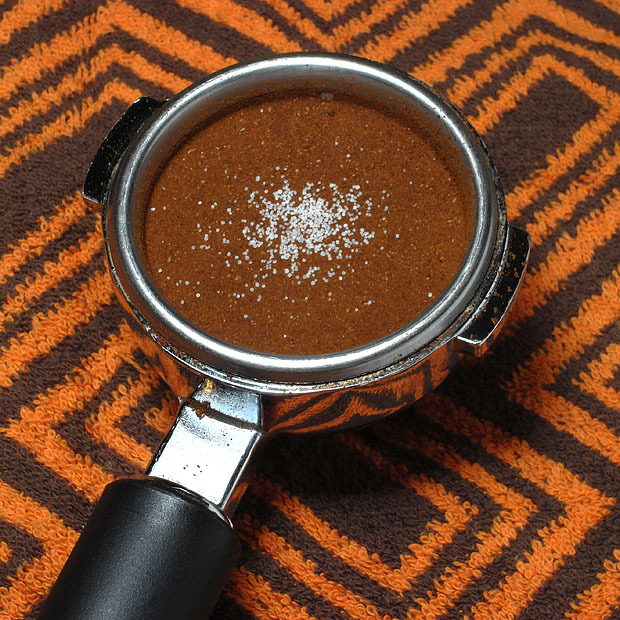 Now I’m curious – are you aware of coffee-salt combinations in your own country? Please tell me about it! And if you try a pinch of salt in your coffee – how did it taste? Breslin, P. A. S; Beauchamp, G.K. “Salt enhances flavour by suppressing bitterness” Nature 1997 (387), 563. Keast, R. S. J.; Breslin, P. A. S. “An overview of binary taste–taste interactions” Food Quality and Preference 2003, 14(2), 111. In addition to suppression of bitterness, salt can enhance sweetness at low concentrations and umami flavors at higher concentrations (more about this in part 5 of “Practical tips for molecular gastronomy”). Just wondering how this will affect the portafilters in the long run. Anyone experience any issues with this? I’m from southern Norrland (North land) in Sweden, exiled to Stockholm. I tend to put a pinch of salt in the coffee. The taste is awesome! I don’t drink coffee myself, but I make sure to put a pinch in my morning hot cocoa (made from my own mix). The salt really enhances the cocoa flavor, but several of my coworkers think I’m nuts to add salt. While this might make sense, if you have to add anything to coffee then your coffee isn’t quality. I’ve worked in the specialty coffee business for 5 years now and have found that excellent coffee and speak for itself and has a lot to do with proper roasting and brewing methods as well. Adding salt to good coffee is a slap in the face to many coffee farmers who toil away day and day out to give us our cup of coffee each morning. So yes, if you’re frequenting coffee shops that over-roast their coffee or by cheap robusta beans or even cheap arabica beans then try this experiment out but you won’t see me or many other coffee professionals doing this…we have way to much respect for the farmers and their crop than to ruin it’s integrity like that. Ty: I agree that there are some coffee’s that will be really difficult (or even impossible) to improve. But just as one can discuss which water to use (hard or soft), temperature, dosing, pressure – a natural extension of this, as I see it, would be to discuss the effects of salt. I do not agree that addition of salt is a slap in the face – in that case you certianly added to much salt! But I take your point that the chance of success with salt is greater with a cheap robusta or over-roasted coffee. I was told the South Africans add salt to their coffee. This is very interesting, on the similar note of a pinch of salt in coffee (which i am going to try with my next espresso); when i was a kid i worked with a guy who always made lemonade in the kitchen. The only difference is that he used salt instead of heaps of sugar. personally, i thought it was really weird. he was a smoker and over salted it, but i made my own with a bit less salt and it was actually really good. The first time I heard of freshly ground pepper on fresh strawberries, I thought it was strange at first but it’s delicious! Why not salt on coffee!